Employees can use our iOS smartphone app. They can also use a web browser on their mobile device. 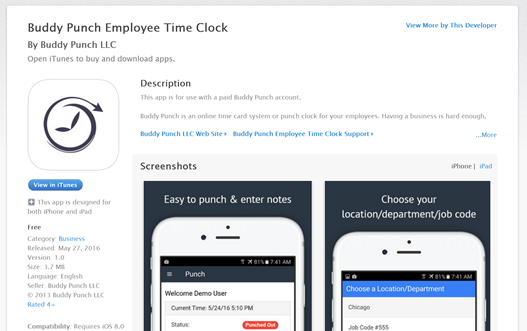 We have an iOS app that you can use, but you don't have to - you can login from your phone's browser by visiting app.buddypunch.com. If you do choose to use our apps the link for the iOS version is below.